The iconic London Underground carries 1.34 billion passengers every year, and reliable lighting is crucial for keeping its 270 stations running smoothly. 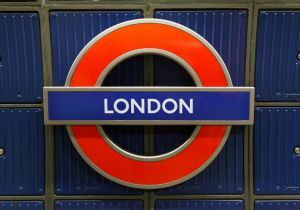 The maintenance costs of traditional fluorescent lighting are significant, and in 2015 Transport for London (TfL) introduced a new approach to lighting procurement based on whole life-cycle costs (WLC), with support from the EU funded Procurement of Lighting Innovation and Technology in Europe (PRO-LITE) project. Using WLC analysis of products allowed TfL to consider information beyond unit price, including installation, maintenance, energy use, carbon, and cleaning costs. This approach demonstrated that the biggest savings were not from short term material costs, or to a greater extent energy costs, but from longer term labour costs (including cleaning, installation and maintenance). Indicative results from one station suggest that WLC savings of 25 percent are possible by switching to LEDs. Due to the success of the approach, TfL now plans to apply it to other areas of its network. For more information, download the case study in the GPP News Alert.